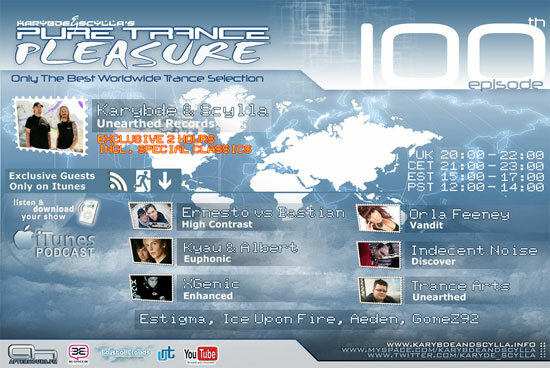 I am pleased to announce that Wednesday night i'll be part of the 100th special episode of Pure Trance Pleasure by Karybde & Scylla with Ernesto Vs Bastian, Trance Arts, Kyau & Albert, Orla Feeney, Xgenic, Estigma, Indecent Noise, Stoneface & Terminal, Estigma, Ice Upon Fire, Aeden, Gomez92. 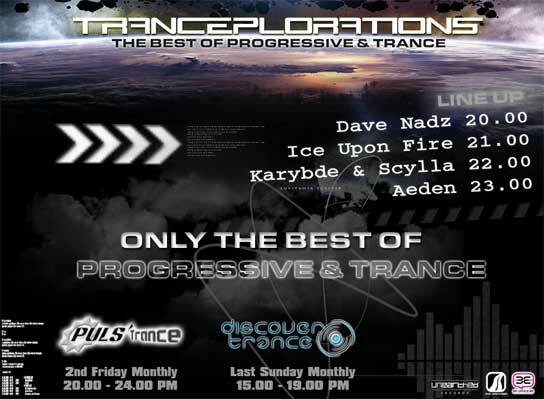 Join the facebook event and check the official podcast at http://www.karybdeandscylla.info/puretrancepleasure/. Hi everyone, dont miss this friday a new episode of Tranceplorations! This month lots of pure uplifting trance music so dont miss it and dont forget all you have to know about tranceplorations -> tracklists, news, schedule, downloads are on http://www.tranceplorations.com/. Dont forget to send me a comment and vote for your favorite track of the month !! Hi everyone, dont miss this friday a new episode of Tranceplorations! This month i think i've prepared one of the crazyest mix since i play in tranceplorations so dont miss it !! Also all the tranceplorations team is proud to announce that we have launched the official website http://www.tranceplorations.com/ so if you love trance music and want to know all the infos about the show, news, tracklists, schedule and many more tranceplorations.com/ is the place to be ! Hi everyone, dont miss this friday the new episode of Tranceplorations! This month is a little bit special for me cause i've been hit bit a car so i've my arm in the plaster but i can still mix with my turntables! ( that was funny to try ). Hi everyone, dont miss this friday the new episode of Tranceplorations with 2 exclusive mashups! Hey, I'm invited by Zagreb48 in the show "Primitive Sessions" (3pm/5pm) on Trancenet.ro this Thursday at 3pm (Localtime, i think it should be 4pm CET). So tune in to discover my new remix "Aeden - Rendez-vous In Paris (Ice Upon Fire Remix)". Hi everyone, dont miss this friday the new episode of Tranceplorations ! Hi everyone, get ready for a new episode of Tranceplorations !